It seems to me we try to reach a state of excellence by waging wars on whatever stands in its way. I look around and see what’s wrong with the picture. And, while I’m looking for what’s wrong, I totally miss what is right. The more I war against poverty, drugs, bad behavior, mistakes in others, it seems the more poverty, drugs, bad behavior and mistakes are around me. I am immersed in anything but excellence. That is until I stop my little finding faults campaigns and stop waging war on anyone or anything. It starts with acceptance. It starts with stopping in my tracks. Breathing. Pausing. Sh-sh-sh-ing. Stop! In the silence of the pause, I realize that excellence is all around me. Everywhere. In everything. In me, even! My job is not to find fault with bad, bad behavior in the world. 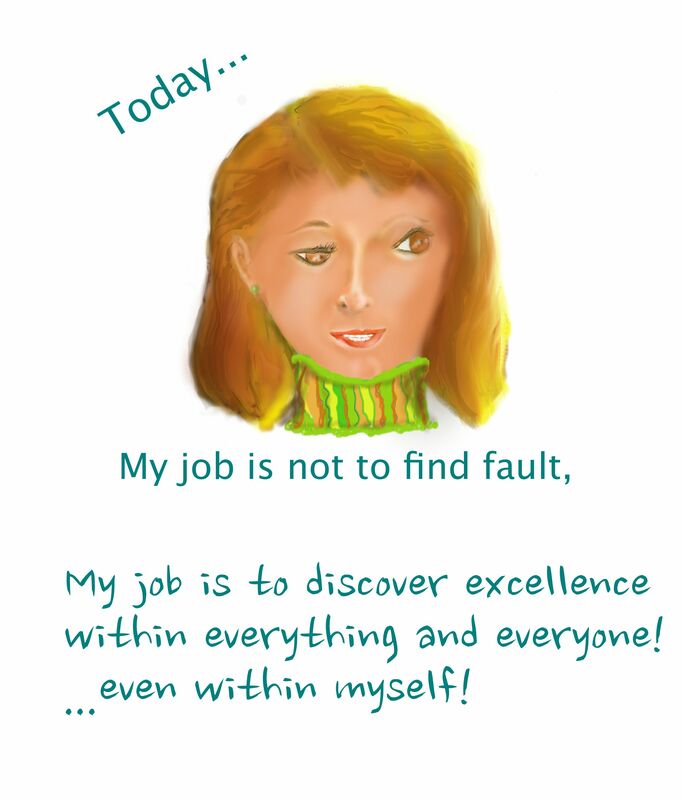 My job is to discover excellence within everything and everyone in the world….even myself. Hope you join me in this quest for excellence today. Thank you!